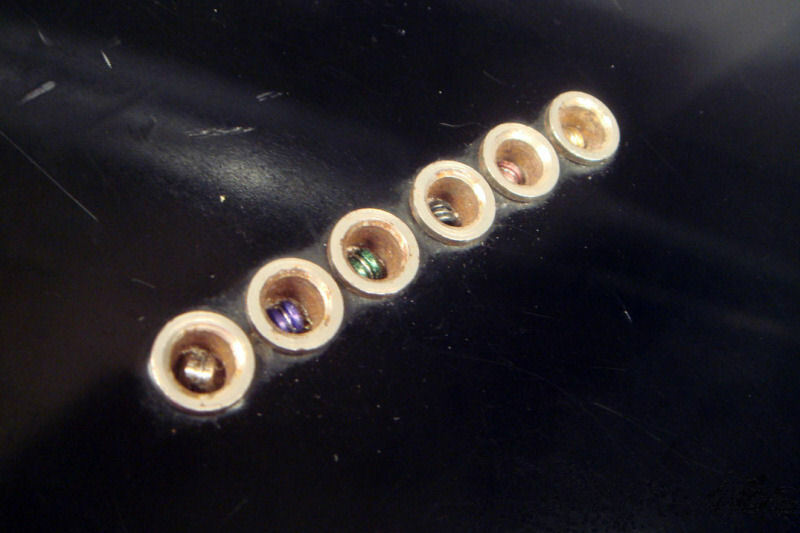 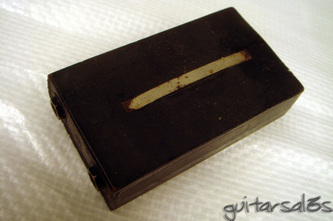 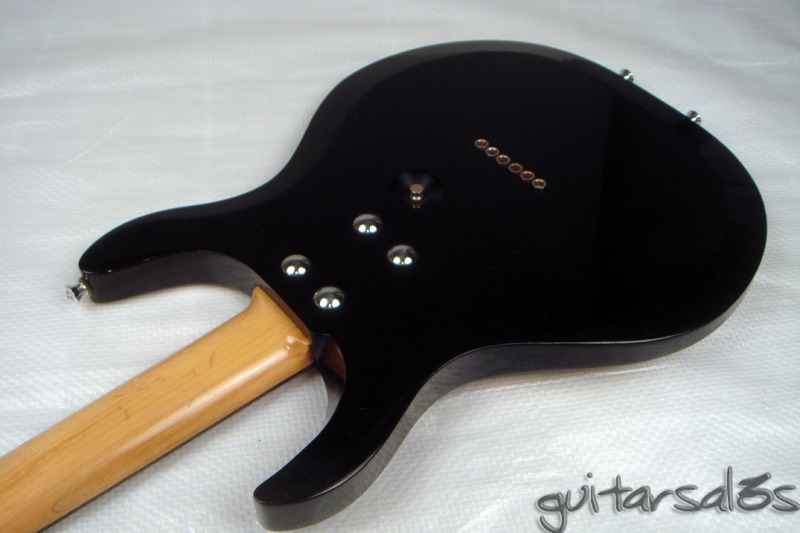 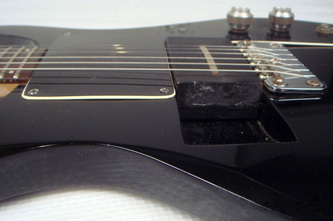 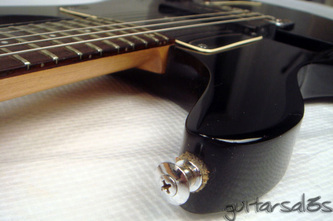 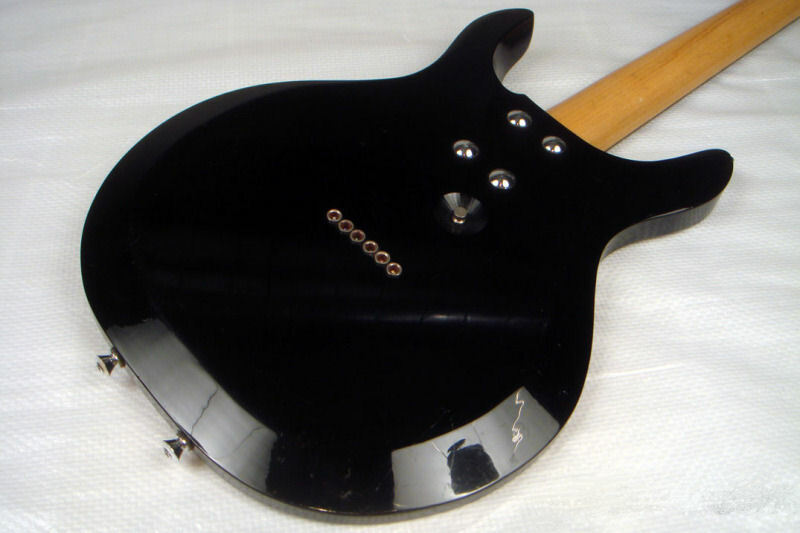 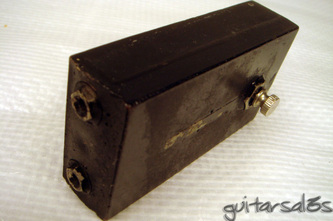 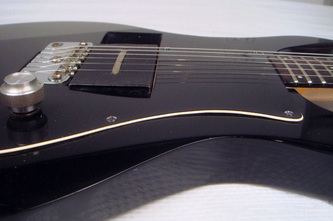 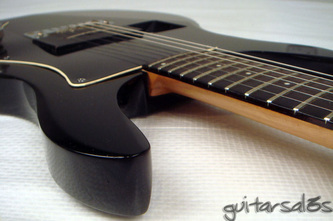 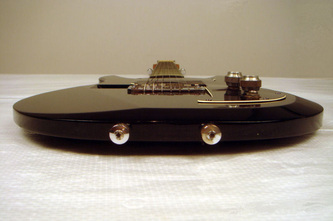 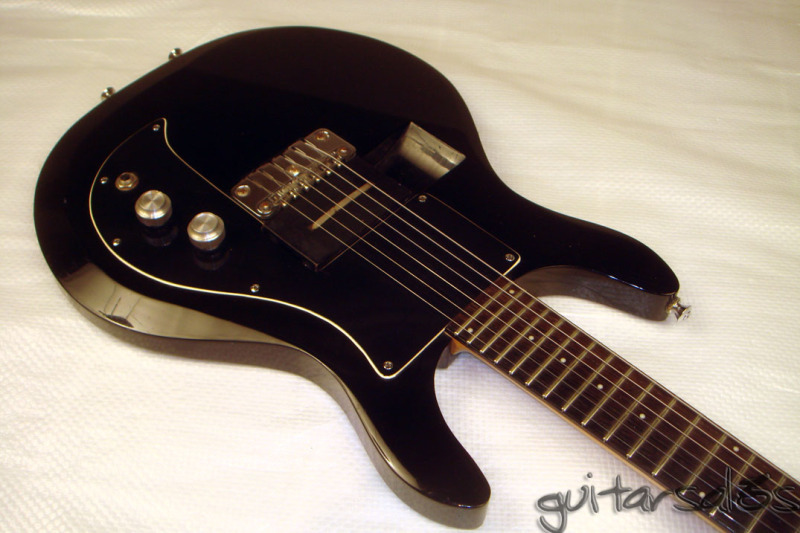 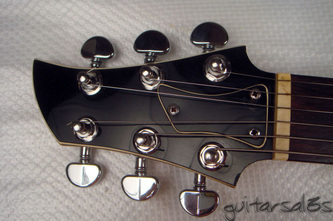 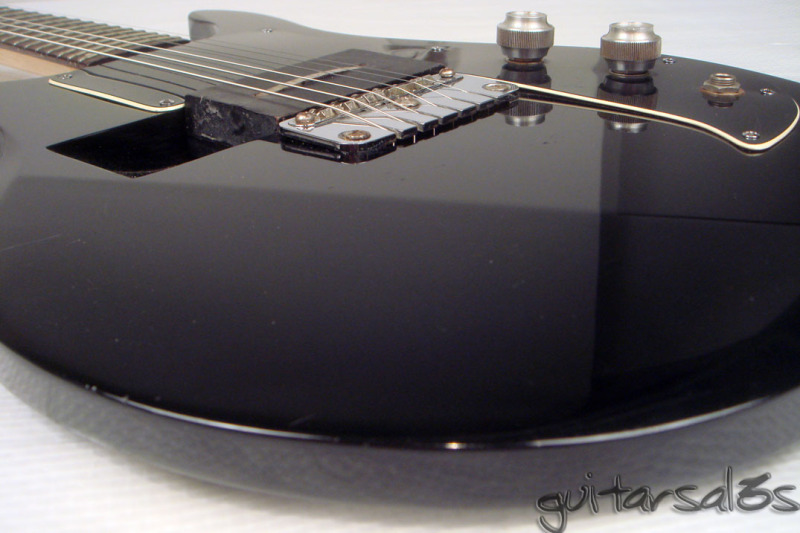 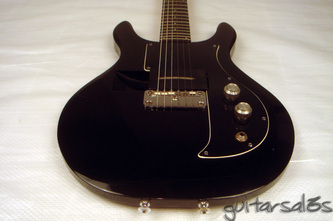 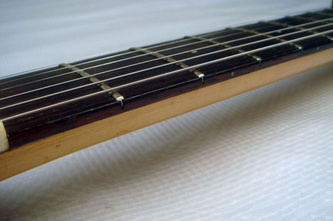 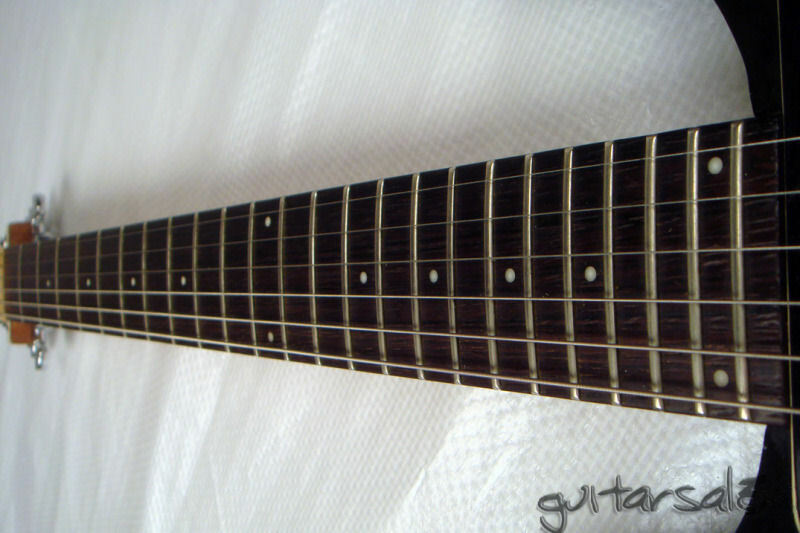 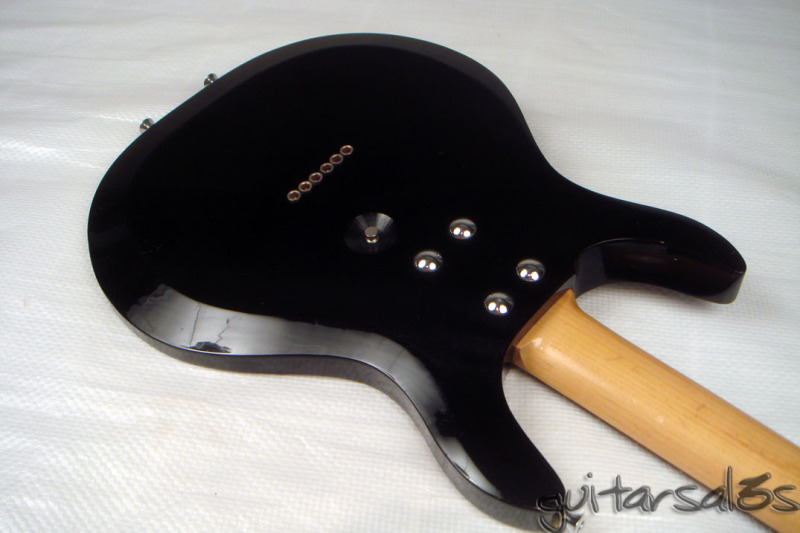 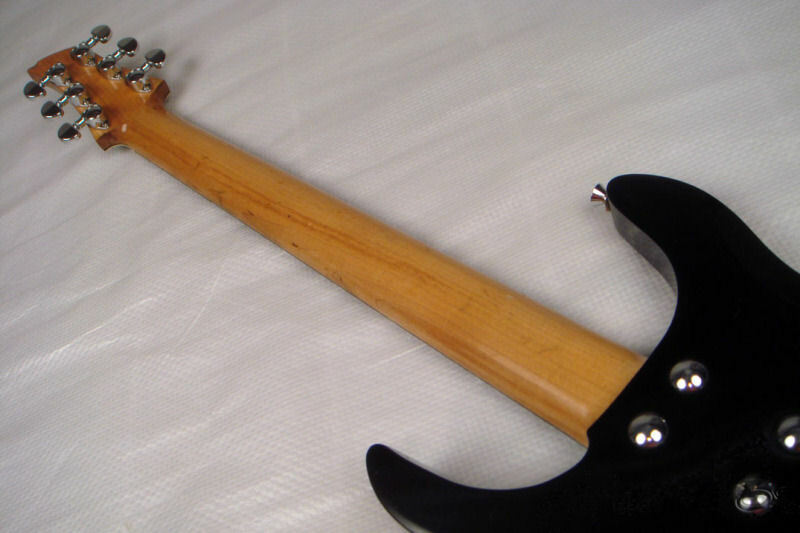 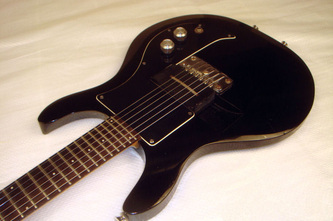 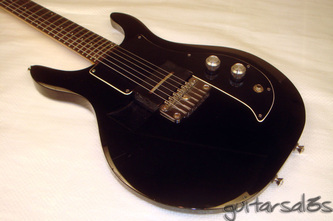 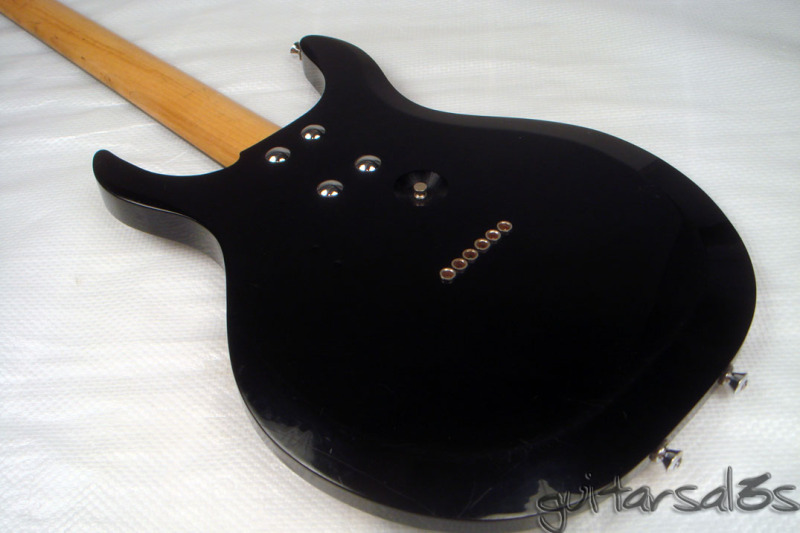 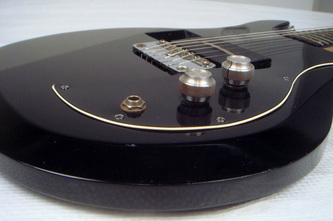 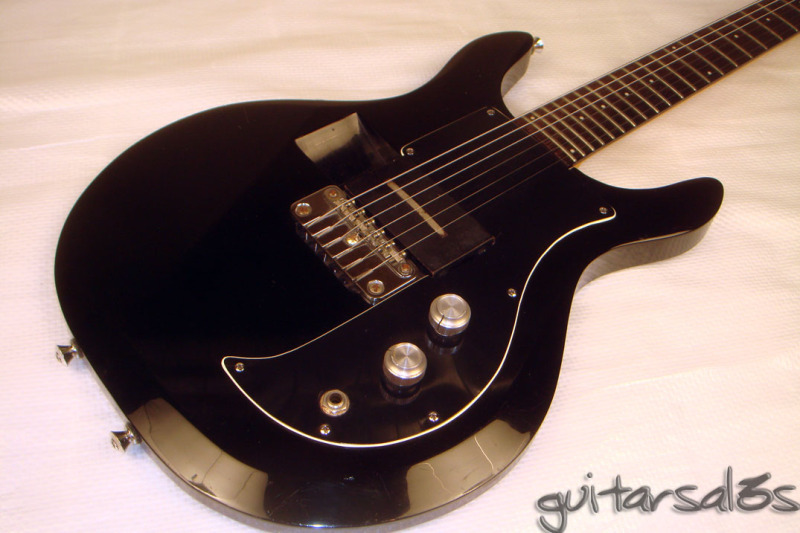 This extremely rare 1969 Dan Armstrong is 1 of only 8 guitars produced in black. 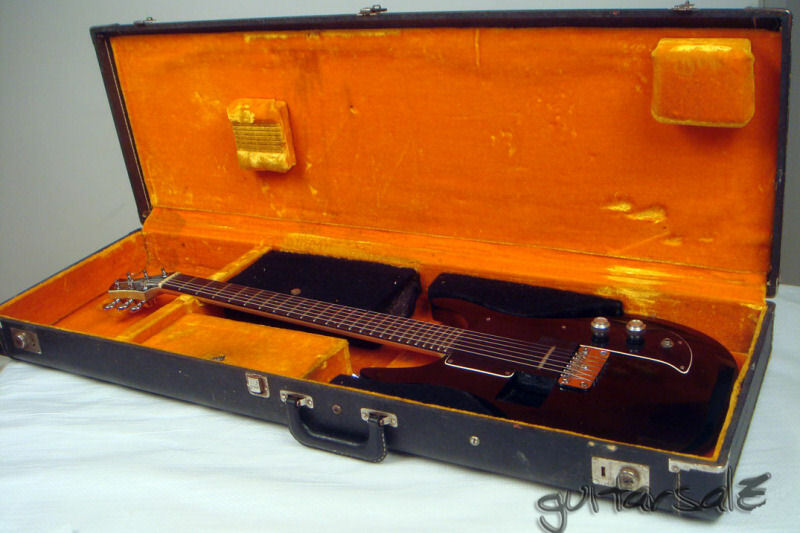 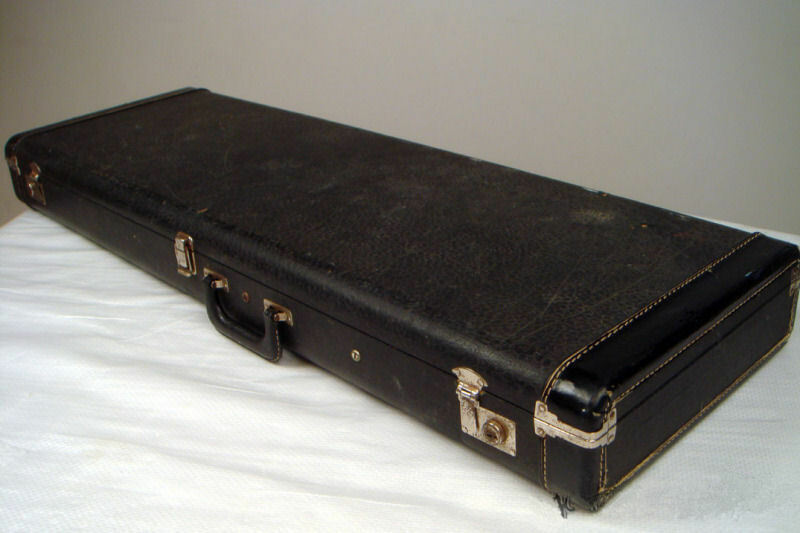 Sold at auction for $6,801 in February 2009 and if memory serves correctly I was the underbidder. 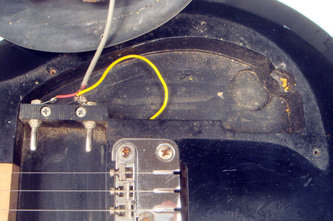 Rats. Comes with the CB pickup, although there were originally 3 pickups altogether - the ST and RB were sold privately and can be seen here and here. 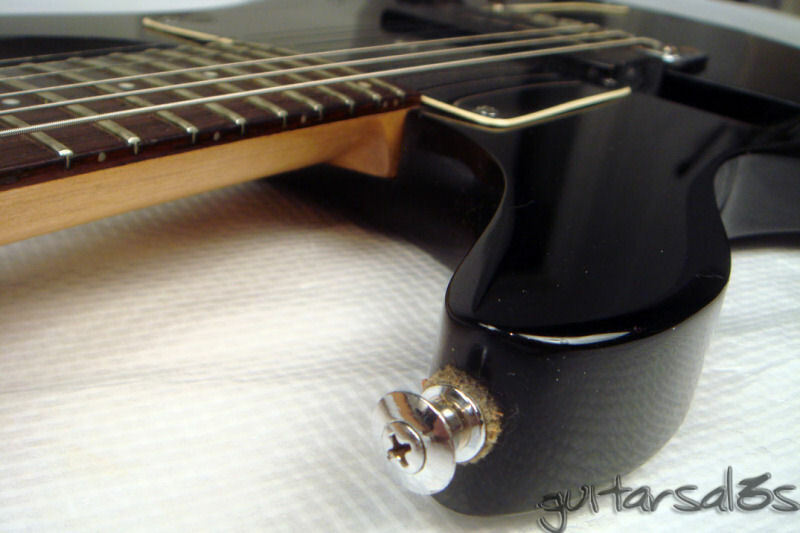 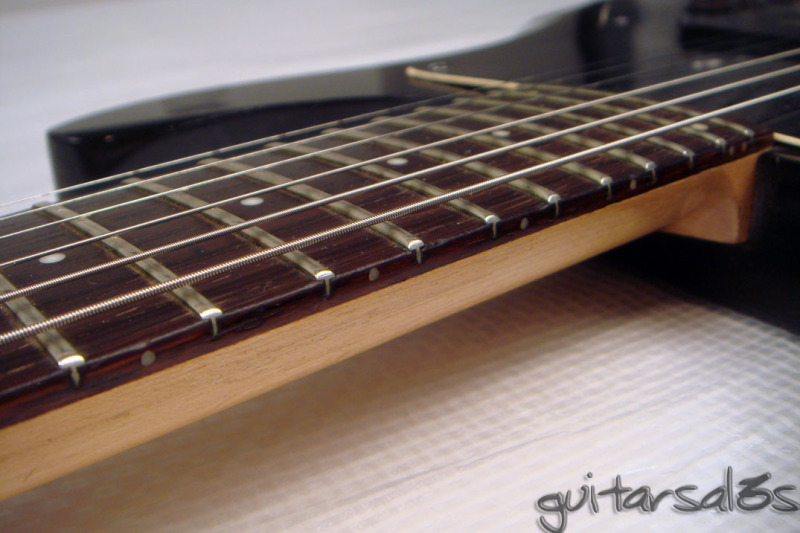 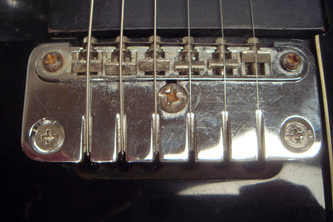 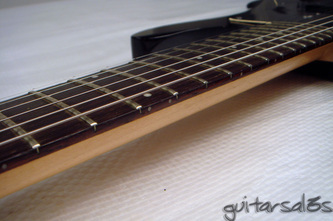 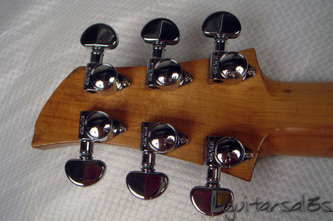 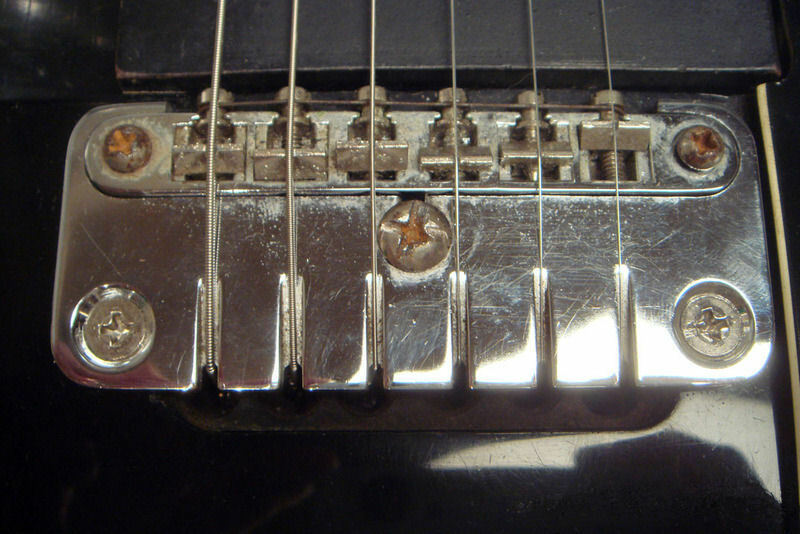 Despite the rarity of this guitar, a prior owner has nonetheless seen fit to perform several modifications, including a tune-o-matic bridge of some sort and what looks like a new pickguard and headstock. If you like black, this one's for you.